Old St. Andrew's - Niche Import Co.
With a history that can be traced back over 25 years, Old St. Andrew's is the brand owner, producer, and distributor of a range of premium quality products. Today, the company is a modern, efficient operation with worldwide distribution channels. Based in the United Kingdom, they design their products in conjunction with the world's leading whisky blenders in Scotland and gin distillers from the country's heartland. This expertise, combining the knowledge of both blending and distillation skills, is encapsulated by the Old St. Andrew's unique cherished flavor. The exceptional blend of rich fruit flavors comes from aging in European oak casks that previously contained sweet wines, sherry, or port. It has a kiss of peat and finishes with a little smoke. The powerful flavors are balanced with an undertone of sweet spiciness that leaves a fresh, energetic, mouth-watering finish. This is the perfect accompaniment to an evening with friends. 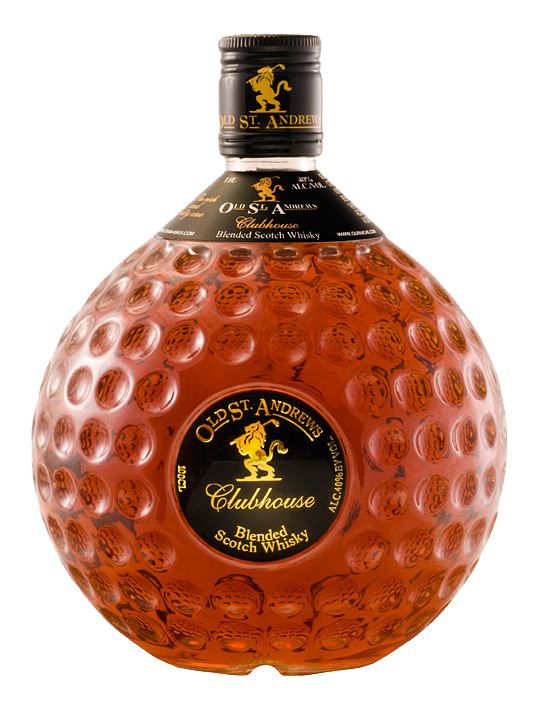 It is uniquely packaged in the dimple golf ball-shaped bottle to focus on the buying trinity of whisky, golfing, and gifts. 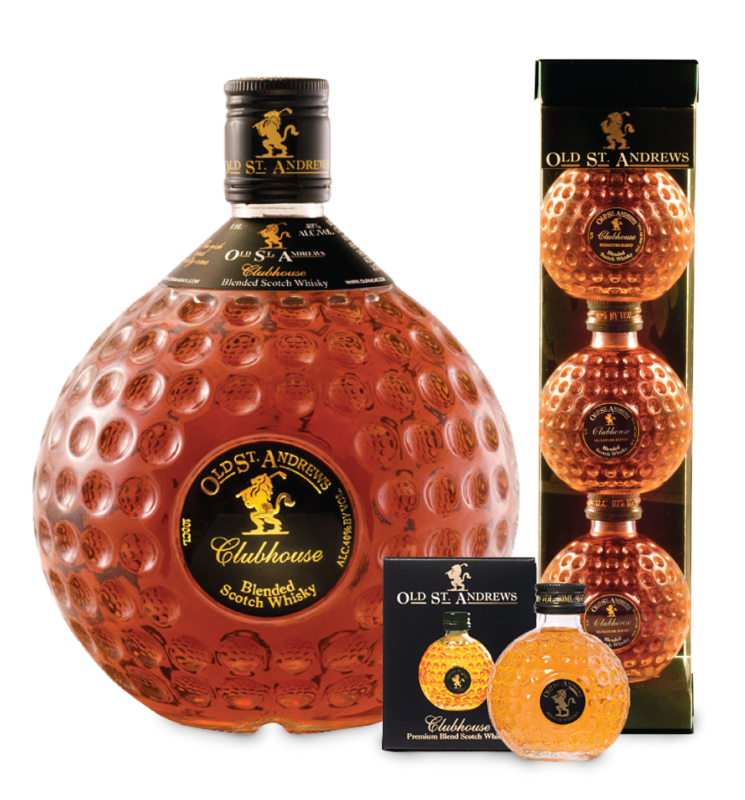 Blended Scotch Whisky packaged in iconic golf ball-shaped bottle; set of 3 mini (50ml) bottles in decorative gift boxmakes a great personal or corporate gift.